Showtime has recently announced that it will produce a four-part documentary entitled Action. 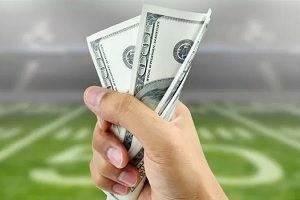 The series premiered on Showtime on March 24 and followed several people in the sports gambling industry throughout the 2018 NFL season. The documentary provides coverage that ended on Super Bowl Sunday 2018. Several familiar faces are included in the documentary, including Brent Musburger, Cousin Sal of Live with Jimmy Kimmel fame, and athlete Russell Wilson. ESPN previously aired a series called Playmakers, which exposed taboo subjects like addiction, sexuality, and gambling. The series was taken off the air and fans begged for its return after assertions that the NFL pulled the plug on Playmakers. Sports fans say that a new series revealing the underground gambling world could give bettors more insight into whether they are being paid fairly. Action follows the lives of professional bookies, gamblers, and odds makers during the 2018 NFL season following the Supreme Court ruling to lift the sports betting ban. The documentary is a four-part series that provides intimate details about authentic and often illegal aspects of sports gaming. Action also details how sports betting legalization has affected the “black” gambling market. It is estimated that between $440-$500 billion is wagered each year on sports gambling in the United States. The central characters in Action range from professional gamblers like Bill “Krack” Krackomberger and sports handicapper Kelly Stewart to important gambling influencers. Sports betting consultant Dave “Vegas Dave” Oancea is also featured in the documentary, which makes the series interesting since Oancea is polarizing. Russell Wilson, who is a Super Bowl Champion and quarterback for the Seattle Seahawks, also appears in Action to talk about sports gambling from an athlete’s perspective. Sports broadcaster Brent Musburger, comedian Cousin Sal, and bookmaker Jimmy Vaccaro make appearances as well to provide interesting opinions on the history and future of sports betting. Since the US Supreme Court decided in May 2018 to make sports gambling legal, each state can approve or deny this form of betting. 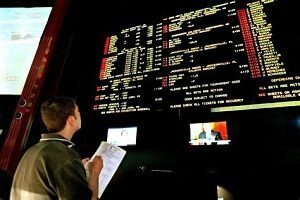 A few states have already made sports betting a legal practice, while some are still considering it. For years, Nevada has been the only state in which bettors could wager on sports games. These days, residents in New Jersey can enjoy this type of gambling as well. Here are a few other states that also plan to make significant revenue from sports betting. 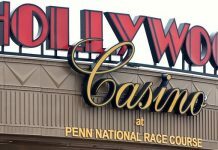 Delaware: In summer 2018, the state moved to allow sports betting at three casinos. Delaware also offered additional options for bettors to wager online. Mississippi: In August 2018, two MGM-owned casino resorts took their first sports bets. The year before, Mississippi legalized sports betting, pending the Supreme Court’s decision. 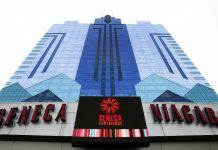 New Mexico: In October 2018, the Santa Ana Star Casino & Hotel books its initial sports bet in partnership with USBookmaking, a company based in Nevada. New Mexico has not passed any new sports gambling laws since the Supreme Court ruling; the Santa Ana Star move was made due to the state’s gaming compact. Rhode Island: Lincoln’s Twin River Casino opened the door for legal sports gambling in November 2018. The decision was made five months after Gov. Gina Raimondo signed the Rhode Island budget, which included details that permitted sports betting. Under the law, only two sites would be allowed to offer sports gambling; the Rhode Island lottery provides regulatory oversight. However, the new gambling law in Rhode Island does not allow online betting.